The cold weather comes in fast and your home can suffer. Frozen pipes are one of the most common Connecticut complaints but it doesn’t have to be. They’re not just annoying, but they can end up causing expensive damage as the pipes crack and burst. 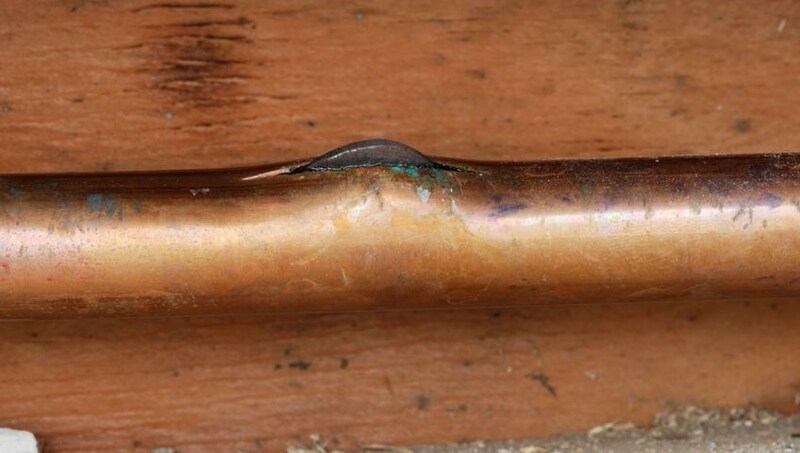 It’s time to take the follow steps to prevent your pipes from freezing. Start by carrying out a check on your plumbing system. Hire a professional plumber to look at the entire system inside and outside your home. This will help you locate the areas most likely to cause a problem during the winter months. One of the hardest things to do when dealing with frozen pipes is finding the problem area. If your plumber has already done a test and something does happen, fixing it will be much easier. Most frozen pipes are in crawl spaces, attics, basements or exterior walls. The areas don’t get the insulation or heat flow that the sections inside the home do. One of the most looked over areas is piping in the exterior wall. Many CT builders have stopped placing pipes here because of the issue with freezing water in the winter. A plumber or contractor will tell you if there is plumbing in here, so you can take steps to protect it if necessary. This will mean insulating the exterior walls. You will also want to insulate piping within crawl spaces and other areas that don’t have the extra heat. You can usually tell if pipes have poor insulation. As the cold weather comes in, the water flow will start to slow. This is because the ice is building within the pipes, making it harder for running water to fit through the gaps. Well insulated pipes won’t see a flow issue. While you can apply insulation inside the walls, you can also place insulation around the actual pipes. This is excellent for the exposed pipes outside. Not only will insulating the pipes help to reduce the risk of freezing, but you can also eliminate the loss of heat outside. You’ll save money on your heating bills. During the summer, you likely have a hose attached from one exterior wall. You may also have an outdoor tap. They’re perfect for keeping gardens and lawns beautiful in the summer, but they can cause problems for freezing pipes in the winter. Disconnect the hose when temperatures drop the freezing. You should also use the shut-off value to empty pipes fully. Leaving any water can lead to ice forming, causing the pipes to swell and for them to crack and burst. Sometimes the interior pipes can freeze. This is especially the case if you’re going away for a week or two and leaving your heating off. While you will want to cut down on energy bills, set your heating for a regular timer. You can reduce the risk of the temperatures in the home dropping to below freezing for long periods. If there are any problem areas in your Connecticut home, insulate the pipes well. With the above tips, you shouldn’t need to call a plumber to unfreeze your pipes. You’ll be able to enjoy the holidays and keep the family safe.